Few devices in modern life are as ubiquitous as the smartphone. You may even be reading this infographic on one. 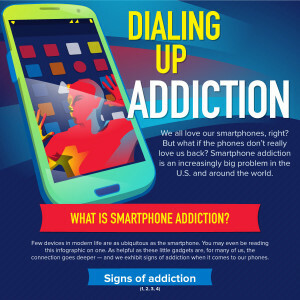 As helpful as these little gadgets are, for many of us, the connection goes deeper — and we exhibit signs of addiction when it comes to our phones. Smartphones are popular and ever-growing in the U.S. and around the world.